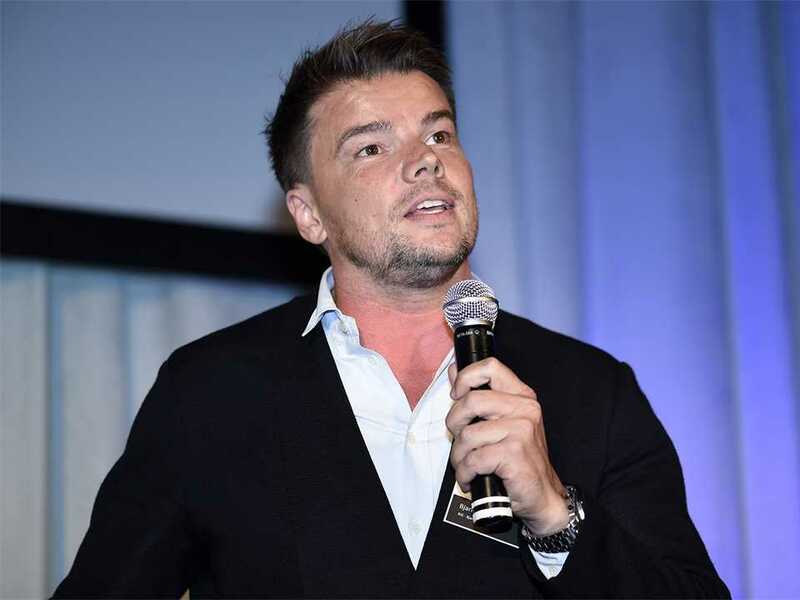 Bjarke Ingles is Founding Partner of BIG, Bjarke Ingels Group based in Copenhagen, Denmark and winner of the Global Holcim Awards Bronze 2015. 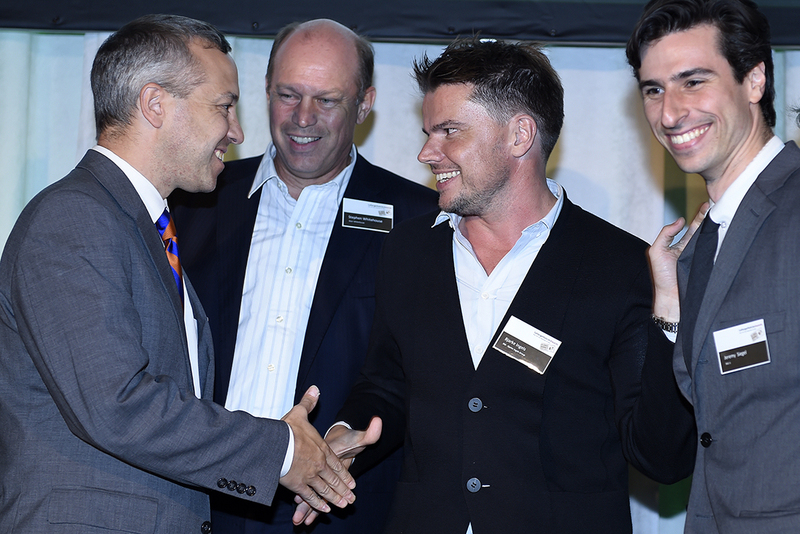 Presentation to the winning team from The Dryline (l-r): Daniel Zarrilli, Director at the Mayor’s Office of Recovery and Resiliency; Stephen Whitehouse, Starr Whitehouse Landscape Architects and Planners; Bjarke Ingels and Jeremy Siegel, BIG - Bjarke Ingels Group. 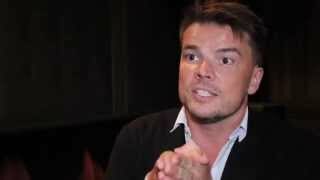 Bjarke Ingels is Founding Partner of BIG, Bjarke Ingels Group based in Copenhagen, Denmark. 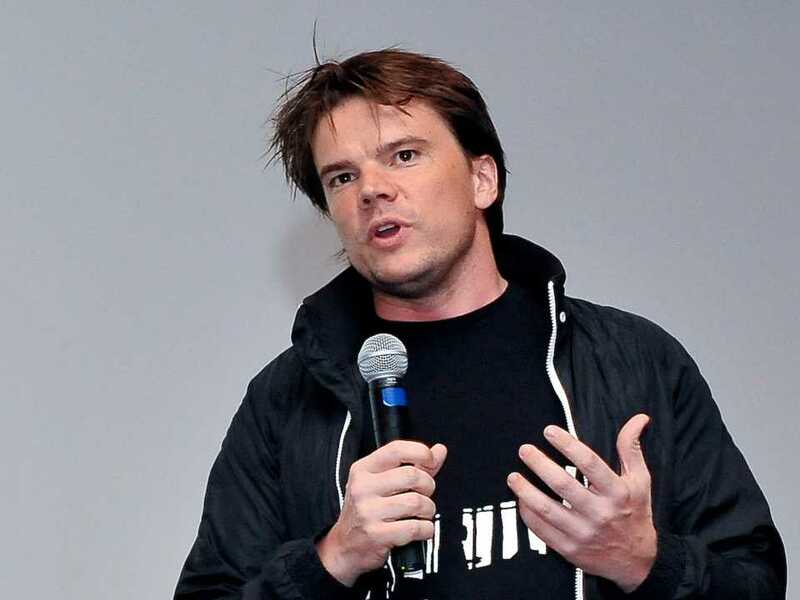 He founded Bjarke Ingels Group (BIG) in 2005. Through a series of commissions won in design and architectural competitions, BIG quickly attained international recognition. The architectural practice’s work combines astute analysis, light-hearted experimentation, social responsibility and humor. 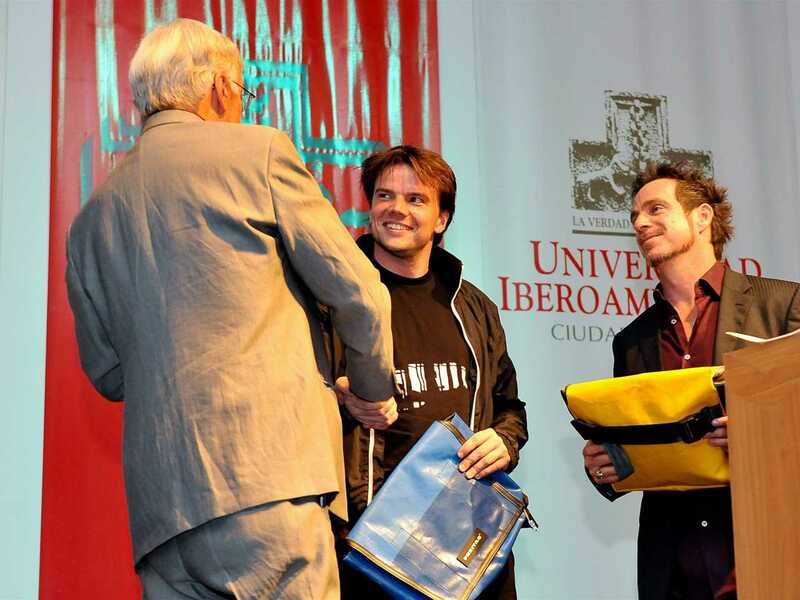 Bjarke Ingels studied architecture at the Royal Academy in Copenhagen and the Escola Tècnica Superior d’Arquitectura in Barcelona, receiving his diploma in 1998. As a 3rd year student he set up his first practice and won his first competition. 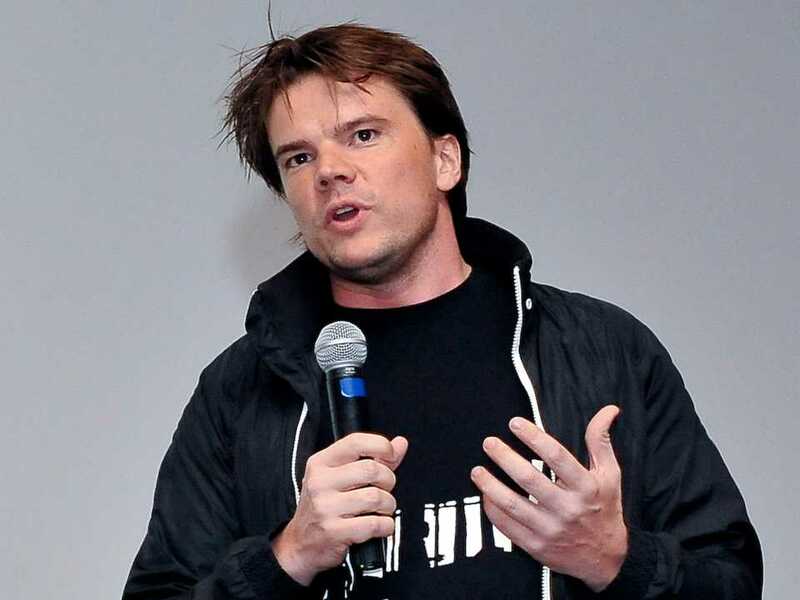 From 1998-2001 he worked for the Office of Metropolitan Architecture, founded by Rem Koolhaas in Rotterdam. He was co-founder of the architectural firm PLOT Architects in 2001. He was awarded the European Prize for Architecture in 2010, the Golden Lion at the Venice Biennale in 2004 for the Stavanger Concert House, and the Forum AID Award for the VM Houses in 2005. The Mountain, a concept for providing housing and parking space in Ørestad, received numerous awards including the World Architecture Festival Housing Award, Forum Aid Award and the MIPIM Residential Development Award. 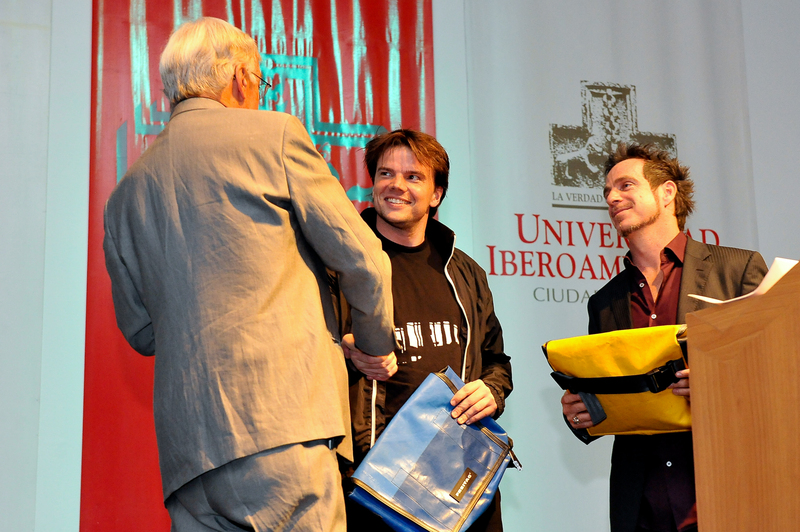 He was made an ‘Honorary Fellow’ by the Royal Institute of British Architects (RIBA) for 2016, for his contribution to world architecture. 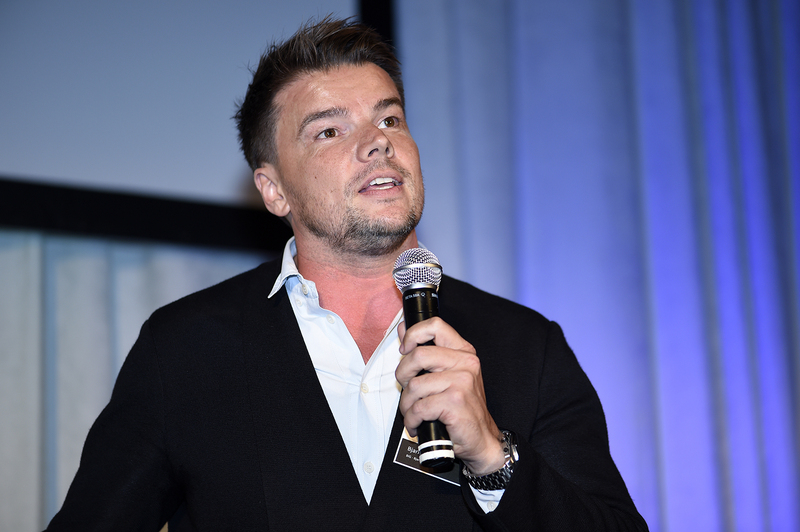 Bjarke Ingels Group received an Aga Khan Award for Architecture in 2016 together with Superflex and Topotek 1 for Superkilen in Copenhagen, Denmark. Superkilen provides a meeting place for residents of Denmark’s most ethnically diverse neighbourhood and an attraction for the rest of the city, this project was approached as a giant exhibition of global urban best practice. His works in Copenhagen include Islands Brygge Harbour Bath, a series of five open-air swimming pools (2003); VM Houses, multiple-unit dwellings in V- and M-shaped apartment buildings (2003); Mountain Dwellings, an extensive parking facility combined with terraced housing (2008); and 8 House, a large mixed-use housing development (2010). 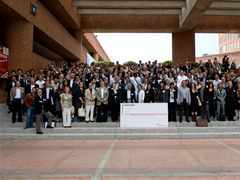 International projects include the Danish pavilion at EXPO 2010 in Shanghai, China; New Tamayo Museum, Atizapán de Zaragoza, Mexico (2009); New Tallinn City Hall, Tallinn, Estonia (2009); Shenzhen International Energy Mansion, Shenzhen, China (2009); and the Faroe Islands Education Centre, Torshavn (2009). Recent projects include the VIA (West 57) apartment project in Manhattan, New York City, USA; Google North Bazshore headquarters (co-designed with Thomas Heatherwick); Superkilen, Copenhagen; and Amager Bakke waste-to-energy plant in Copenhagen. 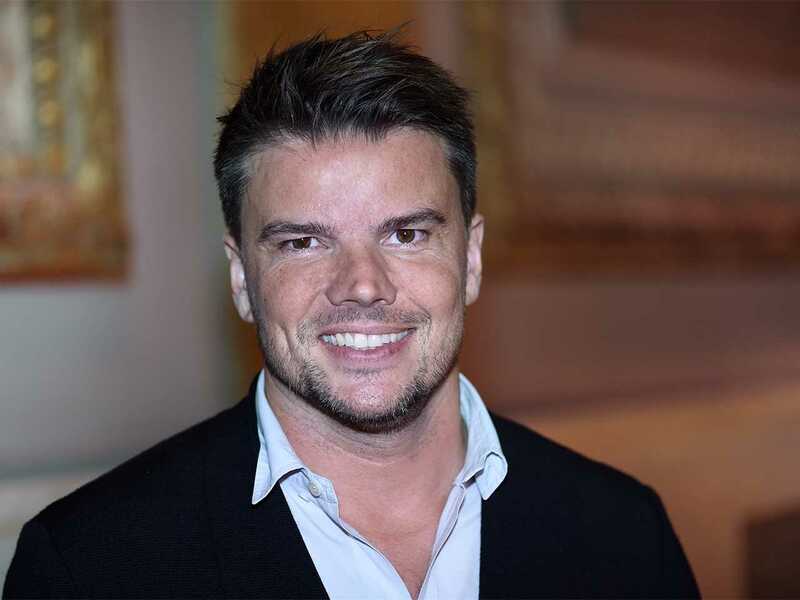 Bjarke Ingels is the author of Hot to Cold: An Odyssey of Architectural Adaptation (Taschen, 2015) and Yes Is More: An Archicomic on Architectural Evolution (Taschen, 2009). He is also author of the contribution “The joys of economy, toward a hedonistic sustainability” in Re-inventing construction (Ruby Press, 2010). Key projects include the Faroe Islands Education Centre, Thorshavn; Shenzhen International Energy Mansion; Danish pavilion, EXPO 2010, Shanghai; and Mountain Dwellings, Ørestad, Cophenhagen. 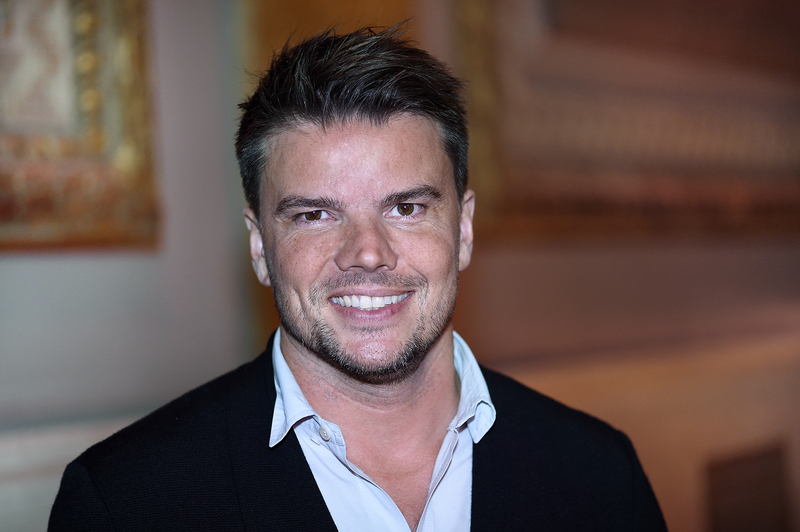 Bjarke Ingels has been a Visiting Professor at Rice University School of Architecture in Houston, Harvard University GSD, and Columbia University Graduate School of Architecture, all in the USA. 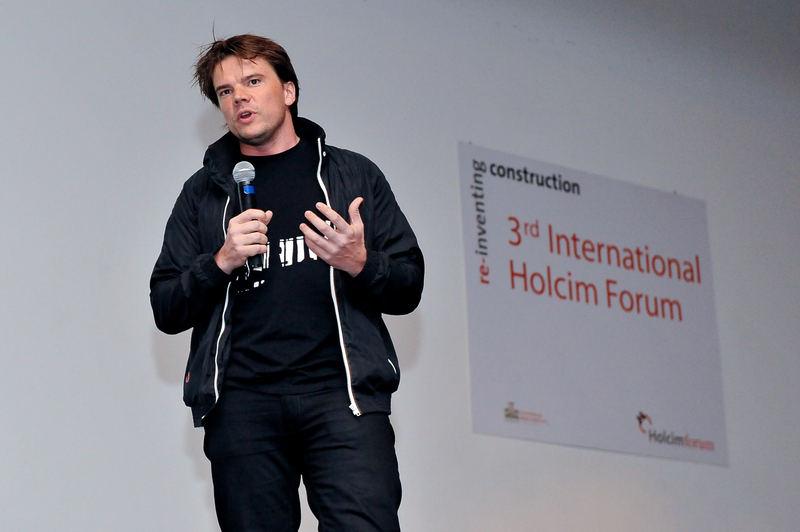 He presented the case study “Hedonistic sustainability” in the workshop Manage complexity - With integral solutions to an economy of means at the 3rd International Holcim Forum 2010 in Mexico City and was a member of the Holcim Awards regional jury for Europe in 2011. 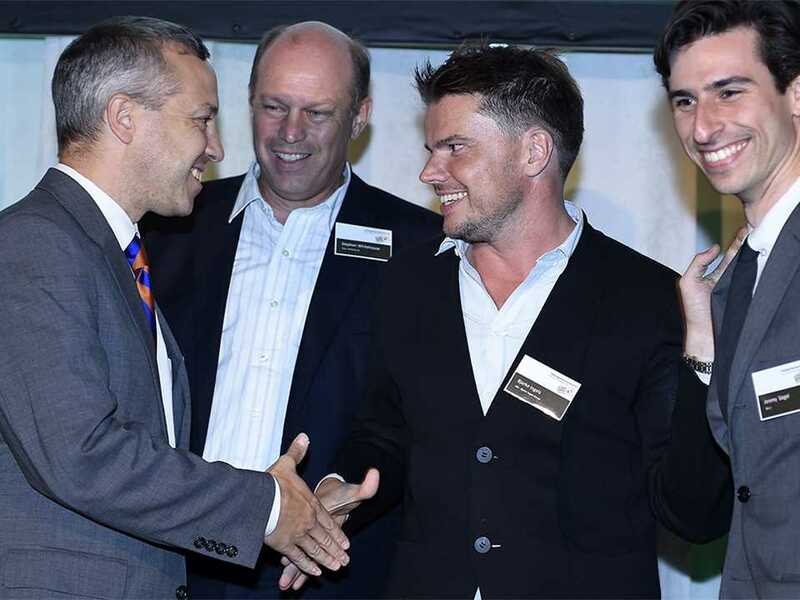 He was a member of the winning consortium of the Global Holcim Awards Bronze 2015 and Holcim Awards Silver 2014 for North America. 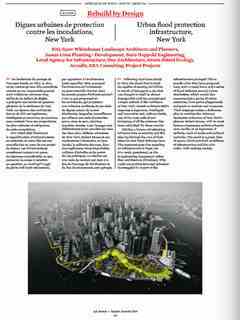 “The Dryline: Urban flood protection infrastructure, New York” is a large-scale integrated flood protection system to address the vulnerability of New York City to coastal flooding and proposes a protective ribbon in Southern Manhattan using a series of raised berms and other measures to create public spaces along the water’s edge.